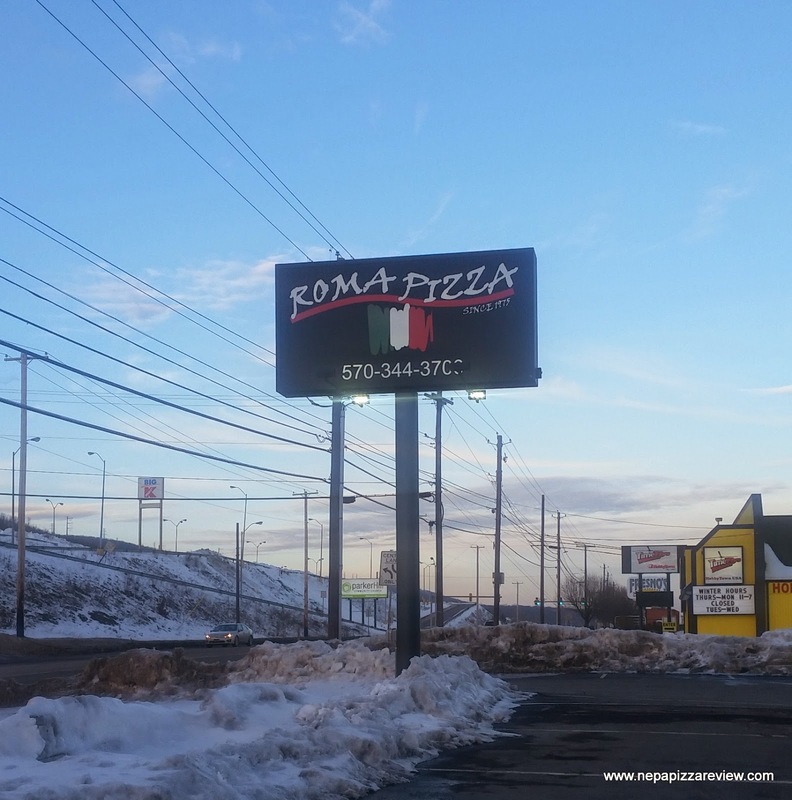 It's no secret that Roma Pizza, one of the more popular staples on the NEPA pizza scene was said to be forced out of the Viewmont Mall to make way for a new Buffalo Wild Wings in the food court. Fans of the pizza shop were up in arms leaving comments on local news outlets and on social media in support of the pizzeria. After several months of waiting, those fans' prayers have been answered with Roma opening up a brand new location just up the road on Route 6 in Dickson City in the old Entenmann's Bakery building. I promised the first lady that I would wait for her to do this exclusive review, but I didn't have to wait long as she surprised me by taking me there for a Valentine's Day treat! I really have to keep that girl around for a while...forever will work! We found parking in the pretty generous parking lot which was jammed on a Friday night. This was encouraging that the NEPA faithful was turning out to support the displaced pizzeria. When we entered, we found there was a bit of a wait as nearly all of the 20 or so tables were filled with hungry diners. The dining area reminded me of an upscale food court, sort of a fast casual pizza slice joint that stayed true to its roots. The owners must have invested a ton of work in the place because it looked great. Behind the dining room is the signature counter with a display area for premade pizza slices - the same types of pizza slices that you have come to know it the previous location. Since we were out for dinner, the first lady insisted that we sat down and ordered an fresh pizza so we could get the full experience. In looking over the menu we decided to grab some wings and calamari to go with our pizza. Although the wings were large in size, I found them both to be a bit overpriced at $9.75 per dozen and a modest order of calamari for $11.25. I will say that the food was ready in a jiffy even considering that the place was slamming busy the entire time. The appetizers were decent, but we were really there to try the pizza which was also ready in no time. The pie came out steaming hot, and it looked as if it were prepared nicely and cooked to perfection. 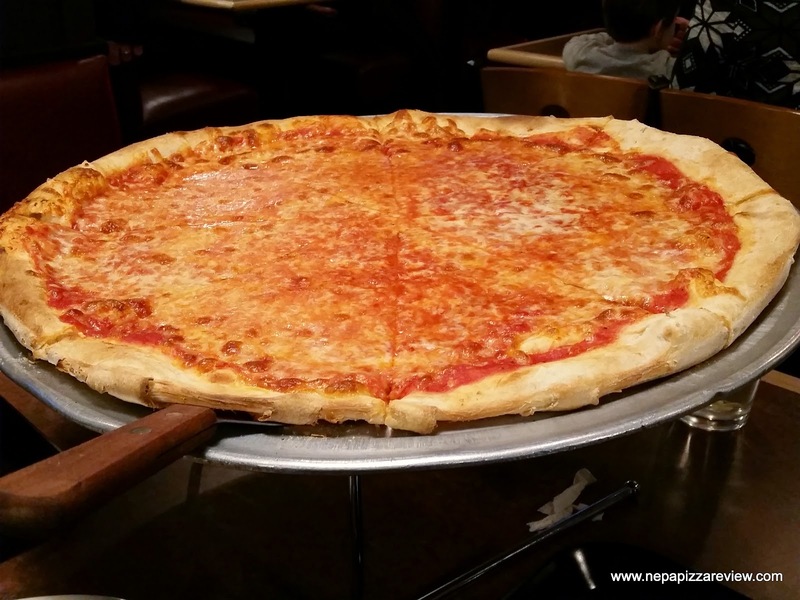 It was a classic thin crust New York Style Pizza which is bound to please most pizza lovers in the area. 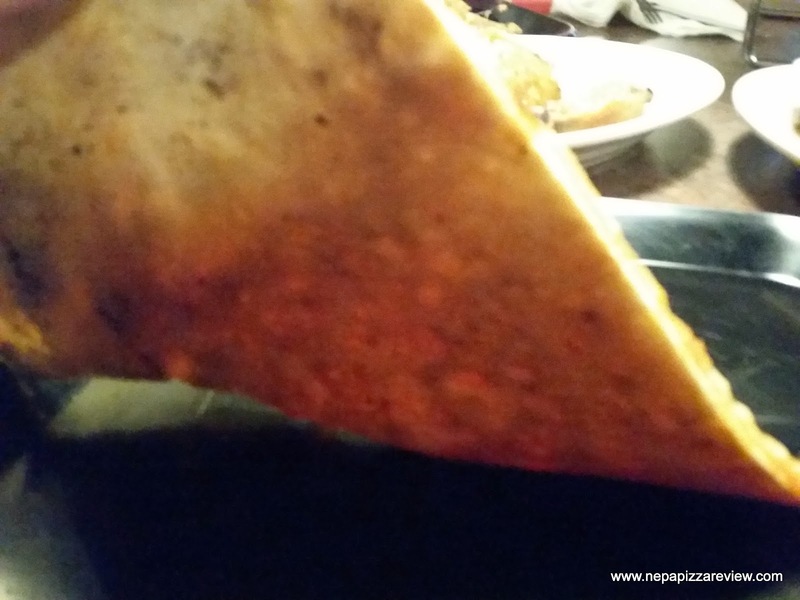 The crust was very good, slightly crisp around the edge and thin and chewy in the middle. I loved the flavor and texture of the dough. The sauce was definitely my favorite part. The first lady pointed out that the sauce was slightly sweet - not sugar sweet, but a quality sweetness derived from quality tomatoes (has she been with me too long?!). I also enjoyed the amount of sauce that was applied, slightly more than many NY pies, but certainly not a ton. There was a relatively smooth texture with minor chunks of tomatoes which provided a wonderful consistency. Finally, the cheese was somewhat salty and provided a nice contrast to the sauce, making this a well comprised and balanced 16" pizza. Overall, we enjoyed the pizza. 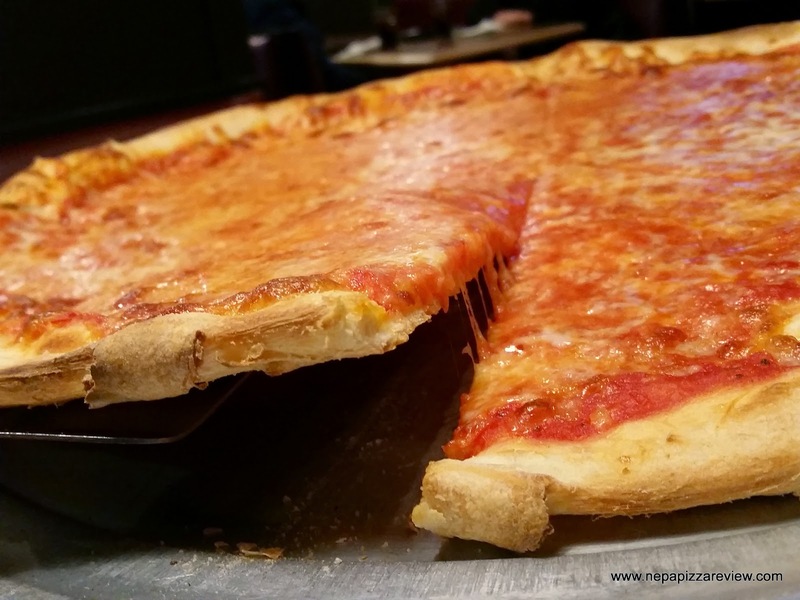 It was a straight-forward, no nonsense, above average NY style pizza. No frills, but you know exactly what you're getting. I highly recommend ordering a fresh pie and dining in as we did to get the best possible experience as it's totally worth it. It's a good place to take the family for a quick meal, and probably an even better place to go for a fast lunch given the fast service and the food court experience that Roma has. Everyone seems to be very excited about the new Roma and I can see why! Please let me know what your thoughts are and send in those pizza pics!